Almost all throughout post-EDSA era, 1986-1995 and 1999-2012, total debt service exceeded spending for both economic services and social services. 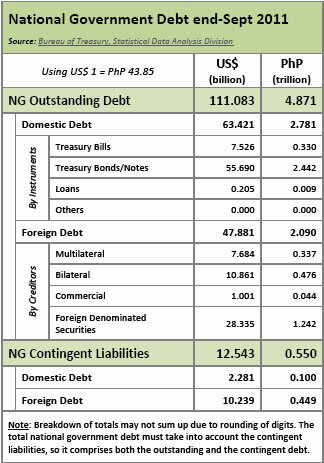 Supposed additional funds for economic services to spur growth and for investment in the country’s human capital in the form of social services are instead used for debt payment, some of which for questionable loans. I just want to mention I’m all new to blogging and site-building and absolutely savored your web blog. Most likely I’m going to bookmark your website . You definitely come with incredible stories. Thank you for sharing with us your web page.